Is LootPalace a Scam? Read Reviews! Company: Grey Vort Pty Ltd.
TOS: You have to be aged at least 13; you can’t have multiple accounts and you can’t complete the same task several times. LootPalace Exposed — Do Small Tasks, Win Gift Cards? A name like LootPalace is probably making you think of pirates, hidden treasures, and gold. This is probably the association that the founders of this platform were looking for. 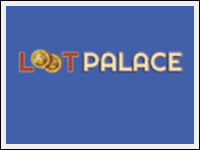 LootPalace relies on a fairly simple principle to enable its members to win points and redeem prizes. LootPalace is a website that gives members access to small tasks. Each time a task is completed, the member earns points. Some of the tasks include taking surveys, participating in polls, playing games, doing online searches, claiming free trial offers and referring friends. Bonuses are also available and tasks do not have to be completed in order to redeem those. Every new member gets 1,000 points immediately after registering. When you register, you will be provided with a list of tasks you can do and the number of points you can earn for each. Surveys, for example, will give you anywhere between 240 and 1,850 points. If you watch a video, you will get from three to 45 points. Once you’ve earned enough points, you can start spending them. LootPalace features Amazon gift cards, PayPal money, Facebook credits and other cool perks you can access. While all of this may sound great, we did run into a problem. For a start, there weren’t that many tasks one could do. In addition, even after the completion of some of the available tasks, there was no increase in the number of earned points. Chances are that some of the opportunities produce points but earning them is not as simple as it may appear to be in the very beginning. There are no particular requirements for participating in the LootPalace program. Once you sign up, however, you may find out that certain limitations apply to the opportunities. Some of them, for example, are solely available to individuals aged 16 or older. To participate in the available surveys, you may have to belong to a certain demographic group. If you’re not in the target, you will not be given access to the opportunity to redeem points. A final thing that can be done for the purpose of earning points is a friend referral. Every time a friend of yours joins the network, you get 10 percent of their earnings as a commission. What Are the Prizes Offered by LootPalace? The prizes are many and they range from gift cards to actual cash. Amazon gift cards are probably one of the most popular options available. PayPal cash is also available. You will need to have at least 5,950 points. These can be exchanged for five dollars worth of cash in PayPal. The other available prizes include CVS gift cards, iTunes gift cards, Facebook Credits, Google Play gift cards, League of Legends prizes, Nintendo 3DS prizes and Steam Wallet gifts. There are multiple other gift card options that are probably not as popular as the ones already mentioned. These include Club Penguin memberships, eBay gift cards, GAP gift cards, Home Depot gift cards and many others. This is the question that we worked on the most and that we couldn’t answer even after extensive research. A WhoIs lookup did not produce any results because all of the registration details are hidden. The official Facebook and Twitter pages of the company also do not provide any type of useful information. Eventually, we came across the fact that LootPalace is operated by Grey Vort Pty Ltd. The company was set up in 1999 in Melbourne, Australia. The terms of service are readily available on the LootPalace website. According to the document, you have to be aged 13 or older in order to join the LootPalace community. Having multiple accounts for the purpose of earning more points is forbidden. Members do not have the right to complete the same task multiple times. LootPalace reserves the right to ban users and delete accounts without prior notice (more information about this right will be presented below). To use the LootPalace points in order to redeem a prize, go to the Spend Points tab on the main menu. There, you will see a short and a complete list of all the things that the points can be transferred into. All that you have to do is choose the option that you like the most and redeem. The fact that people get a commission for referring others to LootPalace means there are many fake reviews out there. If you come across overly enthusiastic reports of people who regularly earn gift cards through the platform, you should definitely suspect fake info. On the other hand, there are dozens of complaints. One of the most common is from people who have gotten banned from the platform without further explanation of how their actions violated the terms and conditions. Some people also report being banned upon attempting to redeem the prize that they were entitled to. Complaints about slow customer service are also common. Some LootPalace members who attempted to contact the support team actually got a response one month later (or they did not get any response at all). A final complaint is that the tasks take too long to complete and the eligibility criteria are questionable. If you dedicate the time to doing something a bit more productive, chances are that you’ll win much more money than by attempting to collect LootPalace points. Is LootPalace Scam or Legit? LootPalace seems to be legit but you should take that information with a grain of salt. While registration is free and you’re not going to lose any money for signing up, you may end up wasting a lot of time. Redeeming the gift cards and the cash isn’t such an easy task – something to be aware of before getting started. Would you mind rating LootPalace.com? There’s nothing wrong with LootPalace and you should definitely give it a try. Points can be collected but you will need some time in order to get used to the program and to identify the opportunities really worth trying. While LootPalace is legitimate, the effort required to eventually get a gift card is not going to be worth it for most people. This is not a scam and if you want to decide whether you’d like it, give it a try. In some instances, LootPalace can result in a nice pastime.